Supposedly it’s springtime in NYC, but it was snowing when I got off the subway this evening, so I’m not buying what the calendar is selling. That said, when I left my apartment this morning it was comfortably brisk without a cloud in the sky. I wouldn’t mind except for the fact that I’ve packed up 90% of my winter wardrobe so am now just cold until the temperature cooperates. 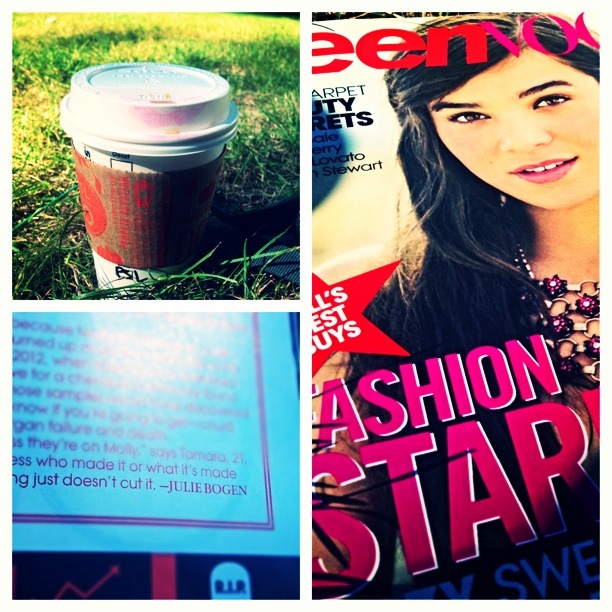 Pumpkin Spice Lattes, and my first Conde Nast byline! 1. I couldn’t live without my planner. 2. My J.Crew chambray button-down doubled as a work shirt and summer jacket. 3. Black pumps aren’t optional anymore. All the women in all of my offices owned at least one pair, and they’re never less than fabulous. 4. A classic watch dresses up any outfit, and helps curb the desire to check your cell phone for the time. 5. Red lips (heftiest hibiscus) make all the difference both in and out of the workplace. Do I feel confident? Yes. Put together? Check. On-trend? Always. 6. My curls could handle the dry summer heat, as long as I had my favorite deep conditioner. And no, I don’t have colored hair. Those things being said, I also learned the importance of developing my own style and putting some of my personality into everything. I had the once-in-a-lifetime experience at two once-in-a-lifetime positions, and I succeeded because of a bright attitude and desire to learn. I got the most beautiful sendoff from both Lori Morris and Jessica Duncan, women who I admire and respect deeply. Now, I get to watch my work show up in web and print form, and I have never been prouder or more excited for my future. 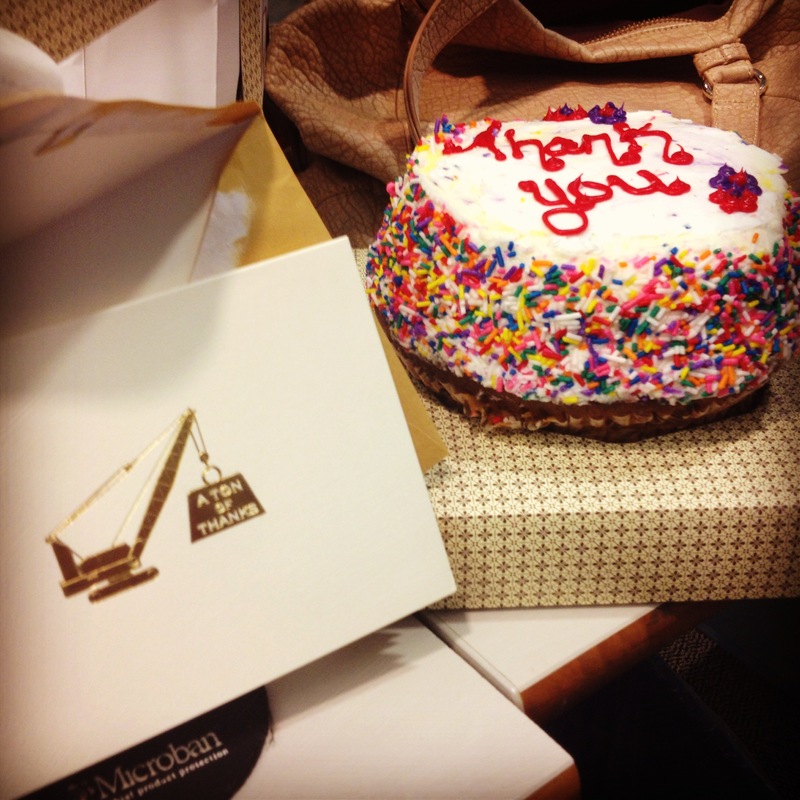 My thank-you from Teen Vogue! 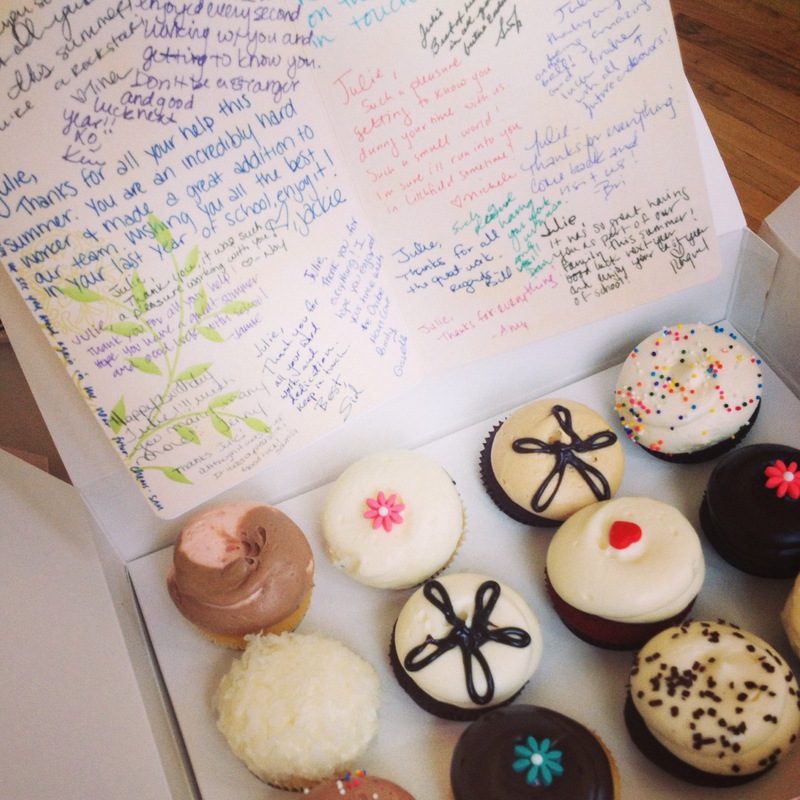 My thank-you from the Oribe team! In the meantime, though, I’ll focus on senior year. Learning Python, filming my first movie, discussing Hollywood genres, and analyzing how community functions in our exploding era of technology. All exciting, challenging things. Good things. Valuable things. Goodness, I’m a lucky girl. Stay fabulous, my fellow interns/students/readers. No, no, not that kind of woo girl. 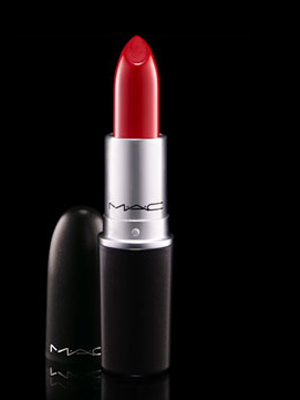 I mean that I officially caved and purchased Mac’s Ruby Woo matte lipstick – a cult favorite. Tracee Ellis Ross and Dita Von Teese both swear by it, in addition to over 20 other beauty gurus featured on Into the Gloss alone. Needless to say, it’s perfect. I only tried it on because I’m leaving for Spain in a few weeks and was looking for something new. It took some adjusting to at first – I have fair skin and green/brown eyes – so I sat in front of the mirror at Nordstrom for probably 10 minutes. Then I did the same thing at the MAC store. Then I did it again at Macy’s. When I finally decided my biggest problem was with its tendency for initial smudging, the clerk suggested pairing it with their lipliner in Kiss Me Quick. I layered the two and fell in love. Still hesitant about spending money before my trip, I caved when my sister told me it made me look like a hot college student instead of a mom (my maternal tendencies are a running joke in my family). I figured, “Eh, what the hell, Europe will appreciate this.” So now, I am a loud and proud Woo girl. 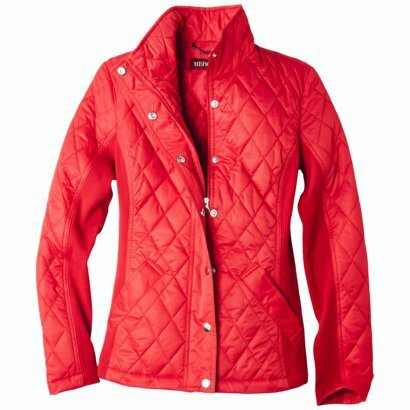 The other find I wanted to mention today was this (see below) Merona Quilted Jacket from Target, on sale for $29.98. I’ve been searching for a versatile, multi-seasonal jacket for weeks now – scouring J.Crew, the Gap, Bluefly, and Nordstrom – with no luck. What a pleasant surprise when I found this on the clearance rack! Now, I know what you’re thinking: Julie, you already own too much red. Give it a rest with the red. Expand your color horizons. I thought those things too until I tried it on and realized that not only was it spring-weather appropriate, but it also had an adjustable back so that it fit my petite frame. It will match most of my wardrobe and is a fraction of the price I was willing to pay. Sorry, red-hating readers, but I had no choice. I will promise to not wear it with the lipstick, though, since we all know red-on-red is tacky. The last thing I must do is proclaim my love for Clinique’s Moisture Surge Intense Skin Fortifying Hydrator. Despite its long-winded name, this moisturizer is great because it lasts forever. I’ve always been preferential to Clinique’s moisturizers because they really rejuvenate and hydrate skin without being too heavy. Specifically, I’ve been using their Dramatically Different Moisturizing Gel for years since it’s relatively inexpensive and fabulous. But as I’ve gotten older, my skin has become more sensitive and higher-maintenance, especially during the winter when I’m fighting off flakiness and breakouts simultaneously. Enter moisture surge. Powerful, concentrated, protective moisture surge. I had received it as a sample a while back, and pulled it out of my makeup bag in a crazed search for my prior favorite moisturizer. Two penny-sized dollops later, and I could already see the difference. My dull, winter-weary skin was glowing; my cheeks had color again. Barely a few drops (one for each section of my face) and I looked like summertime! 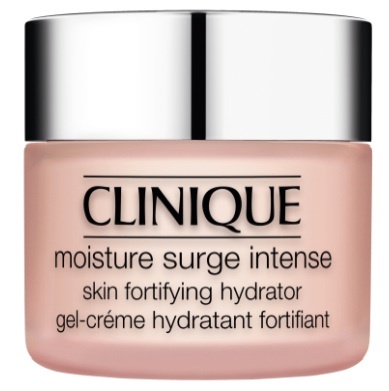 So, at least for the wintertime while I need something strong and long-lasting, moisture surge is my go-to. Hope you’ve all enjoyed the first week of 2013. I’m off to catch up on some Downton Abbey and finish a vanilla spice latte. Tough life, right?